Today I want to talk about being a Dementia Friend. 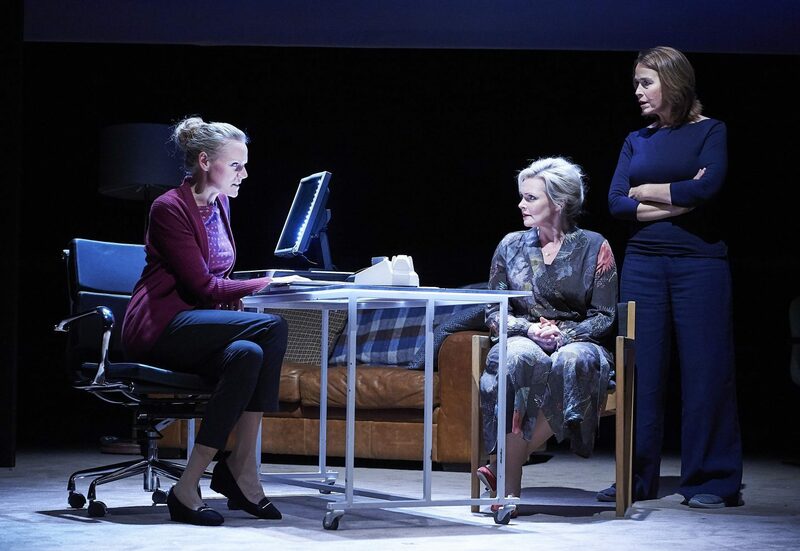 I recently went to the theatre to watch Still Alice* and become a Dementia Friend, so today I’m going to tell you all about it. If you follow me on instagram you might have seen my stories talking about the event, but if not let me enlighten you. Still Alice is a story about a woman who gets diagnosed with early onset Alzheimer’s in her 50’s. The show has moved on from Sheffield now but if you get chance to see it elsewhere you should. 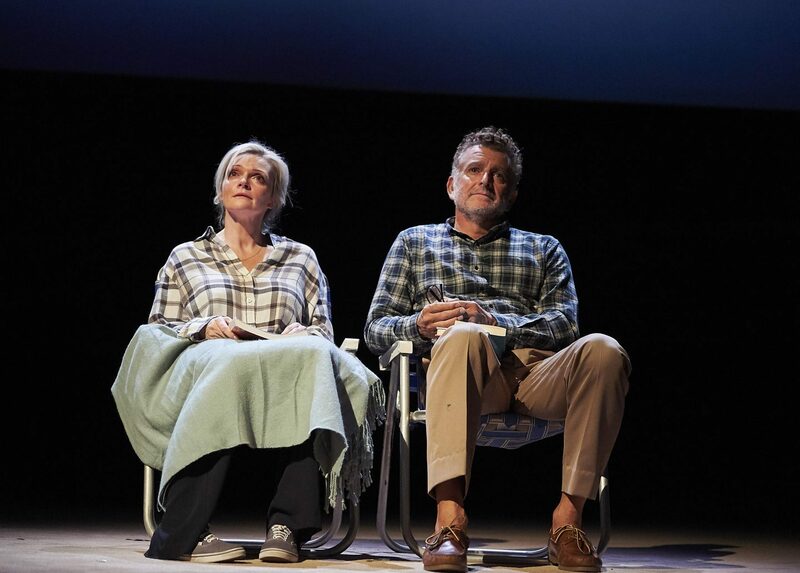 The production follows Alice and her family from experiencing the tell-tale signs before her diagnosis to how she learns to live with Alzheimer’s. It’s most definitely a tear jerker but I think it’s a really important issue to bring to the stage. Often people forget that people can live well with dementia but also it’s a great way to spark a conversation for someone acting as carer for a loved one. I loved the way the timeline jumped to highlight the progressive nature of the disease, because it is a disease, NOT a natural part of ageing. It also showed some all too familiar scenarios that many people with dementia and living with those with dementia have experienced. Unfortunately dementia is an absolute shitter of a disease but being a Dementia Friend is something we should all strive to do to make it easier to live with. The training was super informative, despite knowing people living with dementia, I knew less than I thought, if you can do the training please do! Don’t treat someone as a dementia sufferer. Instead treat them as a person first and foremost, who happens to have dementia. The person you know and love is still there, they just have a disease of the brain. To help you understand dementia. Think of your life as a series of books on a bookcase. Your childhood memories are near the bottom and your more recent memories right at the top. If the bookcase was rocked, the more vulnerable recent memories would fall off the shelf first. This is how some types of dementia affect the memory. Dementia can affect more than your memory. I can affect mood and perception, this can account for violent outbursts, swearing or becoming more withdrawn and shy. In terms of perception, it can be distorted. For example a dark doormat may look like a hole in front of a doorway to somebody with dementia. In these instances try to avoid trigger colours/ shapes where you can to avoid distress. Wearing a Dementia Friends badge can help to identify you as a friendly face in a crowd for somebody with dementia in need of some assistance. Don’t overload somebody with dementia with lots of questions. It can take a while to process a question and if you then ask another before they can answer they have to reprocess everything all over again. Be patient! Dementia and Alzheimer’s disease are causes close to my heart, I have witnessed family members and extended family live with the disease over the years. It’s important that we not only fundraise but also help people with these diseases live well on a day to day basis- that’s what being a Dementia Friend is all about. If you have any thoughts on this topic then please feel free to comment below. Or are you already a Dementia Friend, what does this mean for your daily life? I’m also going to insert a link here to my boyfriends just giving page. He recently ran the Sheffield 10K in under an hour to raise money for Alzheimers Society so if you would like to make a donation to this cause please feel free to do so. 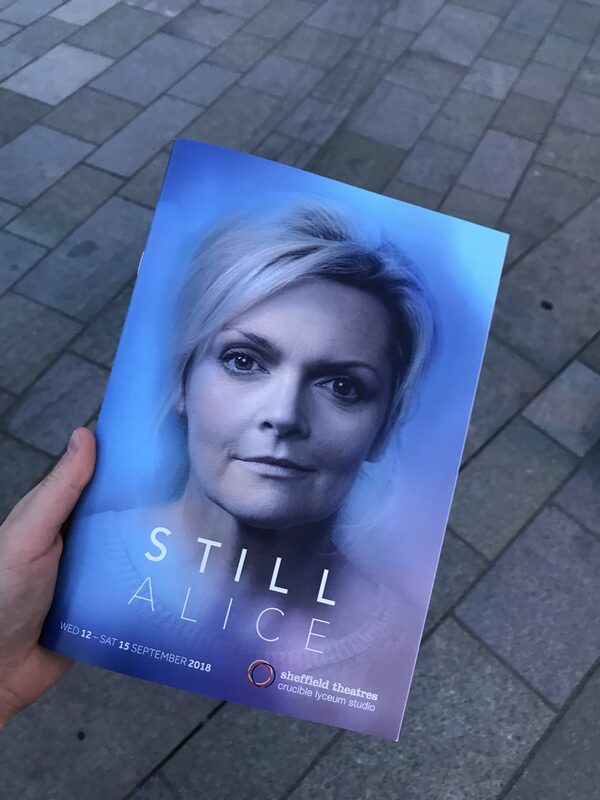 *Sheffield Theatres invited me to watch Still Alice as a complimentary experience but all thoughts and opinions are my own. This is an important cause which should be talked about more.